These birthday poems express warm birthday greetings to a mother-in-law and end with a birthday toast. They may be used on their own or as an unusual ending to our relevant birthday speeches. 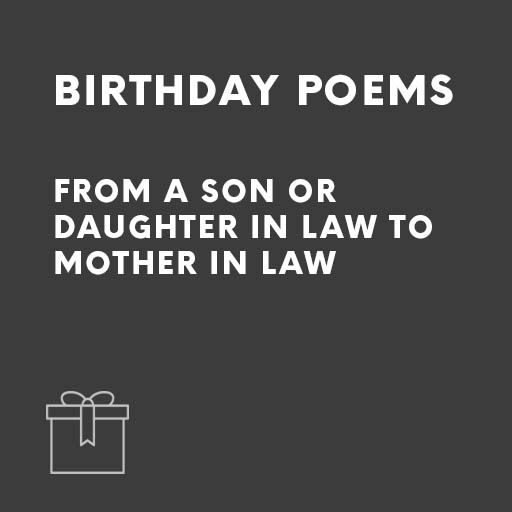 Order our Ready-to-Go Mother-in-Law birthday poems – by a son or daughter in lawThese birthday poems express warm birthday greetings to a mother-in-law and end with a birthday toast. They may be used on their own or as an unusual ending to our relevant birthday speeches.